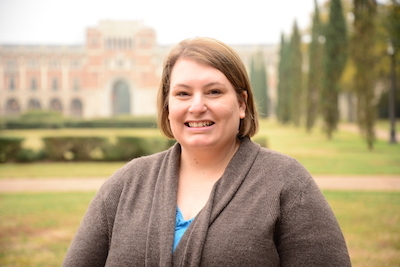 Shannon Kipphut-Smith is Scholarly Communications Liaison at Fondren Library. She manages Rice’s faculty open access policy and collaborates with groups across campus to address a number of diverse scholarly communications issues, including copyright and author rights, new publishing models, and increasing the visibility of research. She received a MS in Library Science from the University of North Texas, a MA in History, with a concentration in Archival Studies, from Auburn University, and a BA in History from Centre College.